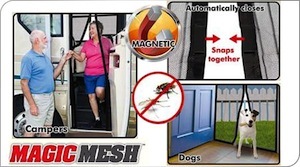 Magic Mesh™ door cover instantly opens and magically snaps closed behind you using 18 strategically placed magnets. So if your hands are full or you have a forgetful family member, you can still let fresh air in and keep annoying bugs out. It goes up in seconds with no tools required and stays up all season long. Plus it folds up for easy storage. Fits single doors, sliding doors, RV's and more! Instantly opens, magically closes. Great for pets too! 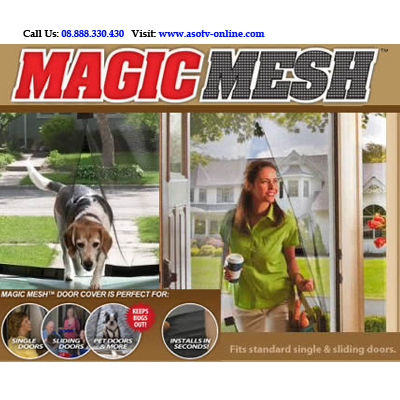 As seen on TV Magic Mesh installs in seconds, with no tools required. Great for pets. 18 Powerful magnets magically close Keeping fresh air in and bugs out. 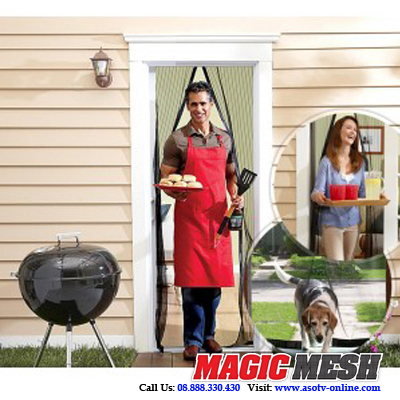 Each panel of the Magic Mesh® Screen Door measures 83 inches tall by 20 inches wide. 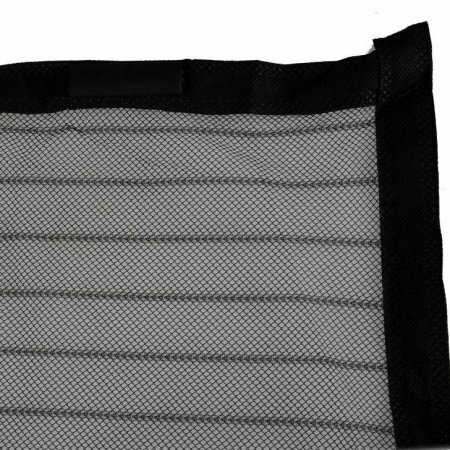 You receive two panels per set, one to be hung to the left and the other to the right, with the magnets aligning in the middle to provide the easy open and close opening. Measuring the two panels together means that you can cover a doorway as wide as 40 inches and as tall as 83 inches. It fits most standard size doors, both single doors as well as sliding doors. 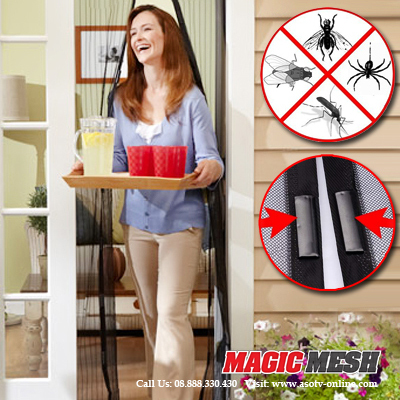 Please note that Magic Mesh® Screen Door will not fit French doors or double doors properly.